Communication in its simplest form is the transfer of information from one animal to another. However while, as humans, we have the ability to speak, write or even type messages to each other animals don’t quite experience the same luxury of Facebook, Twitter or emails. Therefore animals must adopt different strategies to communicate messages. These messages are used to attract mates, raise offspring, and defend resources or a mate against rivals. Pheromones are chemicals that are released by one animal that triggers a behavioural change or reaction in another member of the same species. These pheromones can be so powerful that in some animals even the smallest concentration can produce a dramatic response. 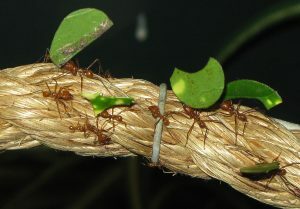 Once released pheromones can be carried huge distances by air currents or even be deposited on the ground where their message is later picked up by other animals. Ants cleverly utilize pheromones by leaving a trail of chemical messages that lead other ants to a food source. Over millions of years many animals have evolved vivid patterns and elaborate ornaments, and while they may make the animal look visually appealing these features are often used to communicate a message to other animals. 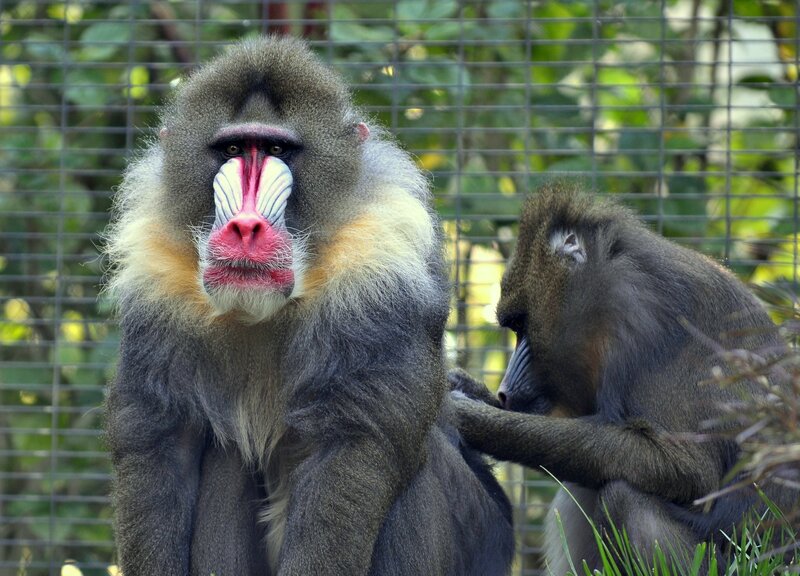 An example of this is in the male mandrill whose facial colouring is a result of surging hormones that is indicative of the mandrill’s status within the colony. This communicates to females the more dominant males and thus indicates the more desirable mate. For almost all creatures sending visual signals is by far the fastest way to send a message. Facial expressions are often used to communicate immediate information about an animal, like a dog snarling indicating that it is unhappy. Additionally many animals are able to turn these visual signals on and off. The frill necked lizard is able to fan out a huge flap of skin attached to their neck to intimidate potential predators and warn them off. While not quite as quick as a visual signal, sound travels fast. This makes it a highly effective and versatile way for animals to communicate with one another. Animals may produce sounds for a wide range of reasons, from attracting a mate to defending against a predators. Sound has the potential to carry a simple or a complex message over a short or incredibly long distance, making it a very useful form of communication. A prime example of sound communication in animals is the king penguin chick who is able to locate their parents in a colony of tens of thousands by recognizing their parents call. The animal kingdom is extremely diverse and we have only skimmed the surface of a plethora of communicative techniques used. However while as humans we now have technology to help us communicate, animals, while not as technologically advanced, have clearly managed to develop their own unique methods. 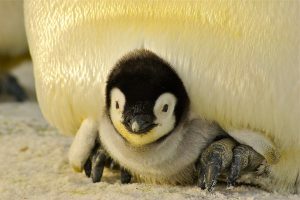 So while it is extremely unlikely that we will see the animal kingdom using social media anytime soon, it is clear that they are coping well with the mechanisms they have. HI Patrick. I loved the article. It is indeed an extensive and fascinating subject. Are you aware that some primates cover themselves in their own urine in a bid to attract a mate and female Chimpanzees wear dead rats or cockroaches as hats?